Have a question about a property or development going on in your neighborhood, or just want to voice a comment or concern, please feel free to email us. Interested in purchasing some fixtures or equipment. Are you offering sales of anything or are you going through a liquidator? November 3, 2012, 6:10 a.m.
A coalition of African American ministers is protesting foreclosures on their churches — by Broadway Federal Bank, a savings bank established in the 1940s to serve Los Angeles’ then-segregated black community. I am a Case Manager at a Residential Program searching for housing for a male, 65 year old–receiving SSI benefits. When doing a criminal background check will a person be denied if they are on probation or parole for non-serious/non-violent offences. I appreciate your time. When are your Fourth Food Truck Fridays starting up again. The public loved it and so did the vendor? We. we’re all ready to party!!!!! 4th Frood Truck Fridays was an event put on by KJLH. I would recommend contacting their hotline to see when the next food truck Friday will take place. 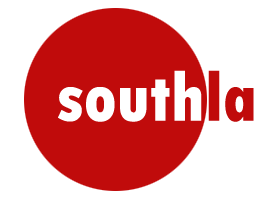 Thanks for reading SouthLA, have a great day.